I’ve written a couple of article about IF & SWITCH in DAX over the past few years. Recently I noticed that there is a behavior I’ve never seen documented or described. Unfortunately, I cannot propose any workaround and I can see the behavior as kind of inconsistent. During one performance tuning session I noticed that there is different performance of the same measure when I change the order of branches in SWITCH statement. Let’s try to make some simple demo to document this behavior. I have taken Adventure Works DWH (AW) demo solution and modified it slightly for my purpose. 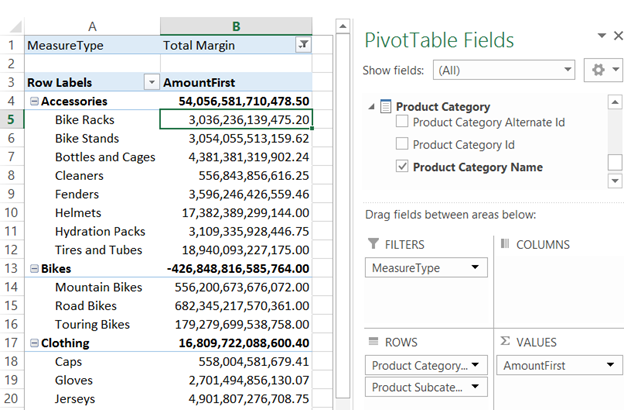 I reproduce the whole solution again in PowerBI Desktop, so you can download it and test it yourself. I would be happy to hear your input. Let’s imagine you do not like having Independent measures as implemented in AW demo, but you would like to have something like measure dimension. 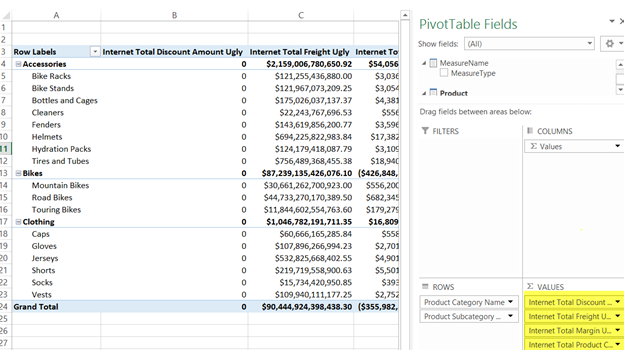 To implement it, you might use Parameter Table Pattern. I’ve created a modified (slower) “Ugly” version of the measures for my test, to make the performance impact more significant. Now we have everything set for the test. I use direct measure definition in DAX Tests queries to be more flexible. Test 1 – Does position of the option in SWITCH statement impacts performance? 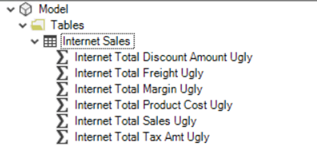 In the first test we will compare performance of simple query showing “Total Margin” when “Total margin” is the first option of SWITCH and the other where “Total Margin” is the last option in SWITCH. As you can see, the only difference is the place where I put “Total Margin” in SWITCH command. I have also performed a test to put it into 3rd position in SWITCH. Test 2 – Is it SWITCH statement issue? Let’s try to rewrite it to IF statements. The last test I did was just to show you the impact of the IF and SWITCH itself. 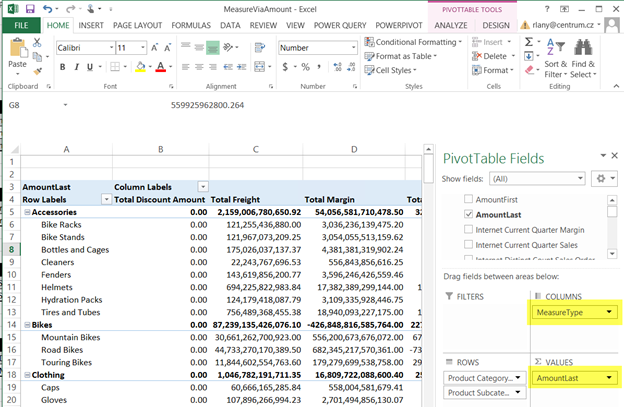 So I’ll compare using measures directly versus using measure dimension in Excel Pivot Table. We have seen counterintuitive behavior – better performance when being in last place of SWITCH. On the other hand, we have PROD solution where I observe the exact opposite behavior. Last place in SWITCH was less performant. Therefore, I would strongly recommend testing your case. This behavior is more obvious when having some not trivial calculations in each branch. IF statement has the same behavior. As you can see in the last test not using IF or SWITCH is of course the best option. Here is the whole test for the curious of you who would like to see it with your own eyes. Previous Post SSAS Tabular – Large Dimension Performance II Next Post Jak se stát datovým specialistou? Thanks for proposal. I can confirm it works for this case. 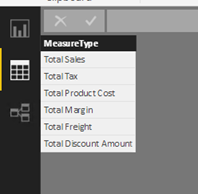 So having first option as blank with nonsense condition. Results at similar performance of both queries. Query plan still differs by 1k lines but performance is now comparable. I’ll do another couple of test on my other real life case where impact of option order was vice versa. You do know that there is a workaround for this right? The workaround probably won’t work in all scenarios but it has worked for me in at least one. I’m plagued by poor IF and SWITCH performance…pray tell, what’s the workaround!? Hi, As proposed by Oxenskiold making fist option empty with nonsense condition. Then other branches are delivering consistent performance. However it’s not solving in general poor performance of If but just this one particular case.